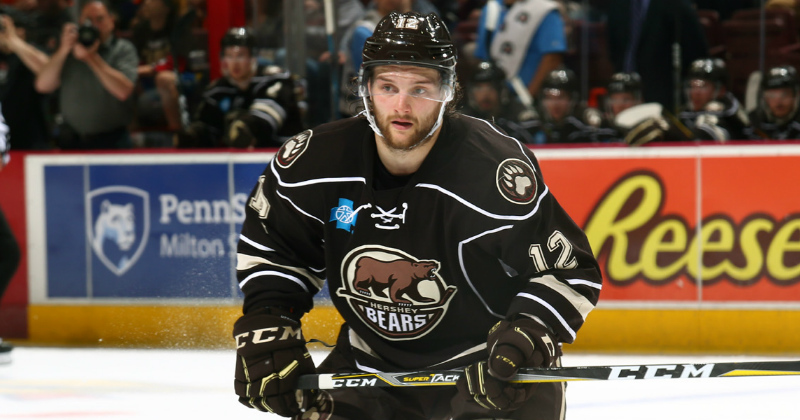 11/05/2018 - The Washington Capitals have assigned Nathan Walker to the Hershey Bears of the American Hockey League (AHL), senior vice president and general manager Brian MacLellan announced today. Also, forward Travis Boyd has returned to Washington after playing two games with Hershey last weekend on conditioning. Walker, 24, appeared in three games for the Capitals this season and recorded one assist. The 5’9”, 186 pound forward scored his first NHL goal in his NHL debut last season on Oct. 7, 2017 against the Montreal Canadiens, and played in seven games for the Capitals. The Sydney, Australia, native became the first Australian-national to play in the NHL when he made his debut versus the Canadiens. Additionally, Walker appeared in two games for the Edmonton Oilers last year after being claimed off waivers from Washington. Walker recorded 22 points (9g, 13a) and 36 penalty minutes in 40 games with Hershey last season, and his 0.55 points per game were tied for the third most among the Bears with at least 40 games played. Additionally, Walker recorded five multi-point games and two multi-goal games. Walker holds the distinction of being the first Australian drafted to the NHL after Washington selected him in the third round, 89th overall, in the 2014 NHL Draft. Walker played junior-level hockey in the Czech Republic, participating in 213 games in the Czech League’s Vitkovice program. Additionally, Walker appeared in 29 games in the USHL with the Youngstown Phantoms and recorded 27 points (7g, 20a) in the 2012-13 season. In the year prior to the 2014 draft, Walker registered 11 points (five goals, six assists) and 40 penalty minutes in 43 games with the Bears. Walker represented Australia at the 2011 IIHF World Championship Division II tournament and at the 2012 World Championship Division 1 Group B tournament. Game 4 Preview: Sound Tigers at Bears, 7 p.m.
Game 3 Preview: Sound Tigers at Bears, 7 p.m.